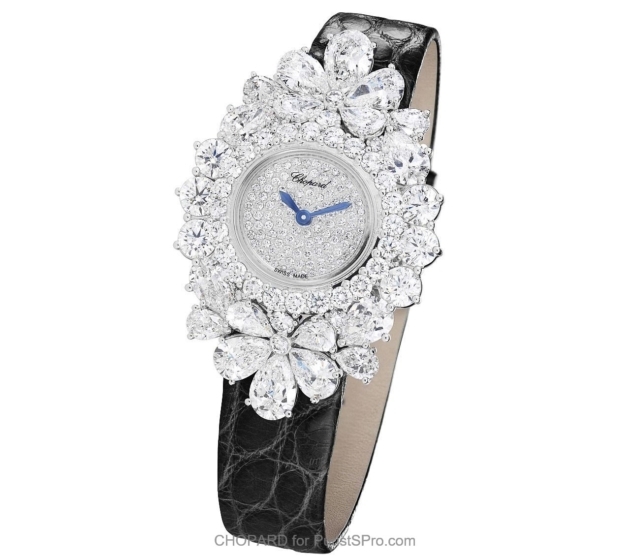 Women's watch trends: Bracelets that tell time! 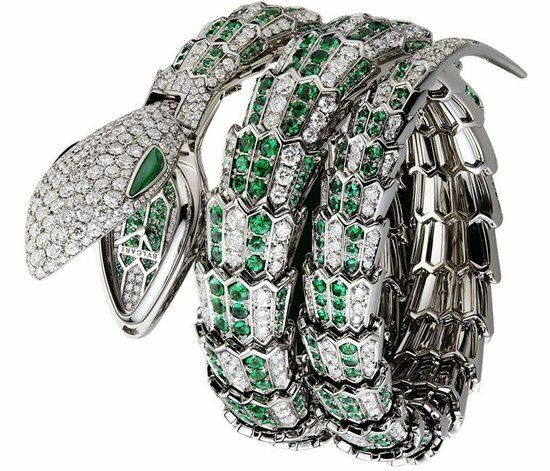 Women’s watch trends: Bracelets that tell time! 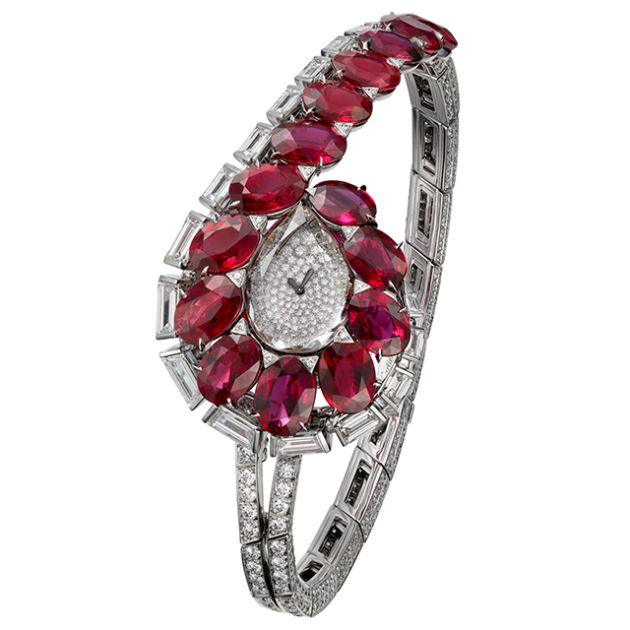 This ruby and diamond confection is so dazzling that you almost miss the tiny pear-shaped and diamond-encrusted watch face in the center. For anyone who wants to know what’s under the hood, the watch is powered by manually wound Calibre 101 mechanical movement. 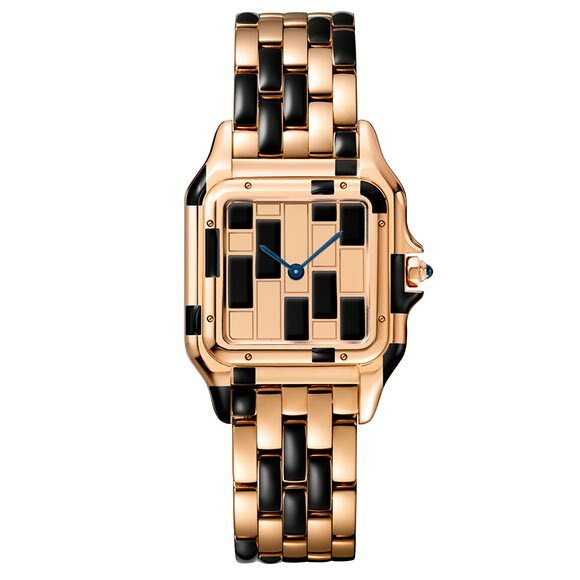 First introduced in the 1980’s and retired in the early 2000’s, the iconic Cartier Panthere is back and looks cooler than ever in rose gold & black lacquer. We also think it’s edgy sleekness would perk up any LBD. Talk about a timeless beauty! We love the mix of ladylike florals with the sleek black aligator strap. 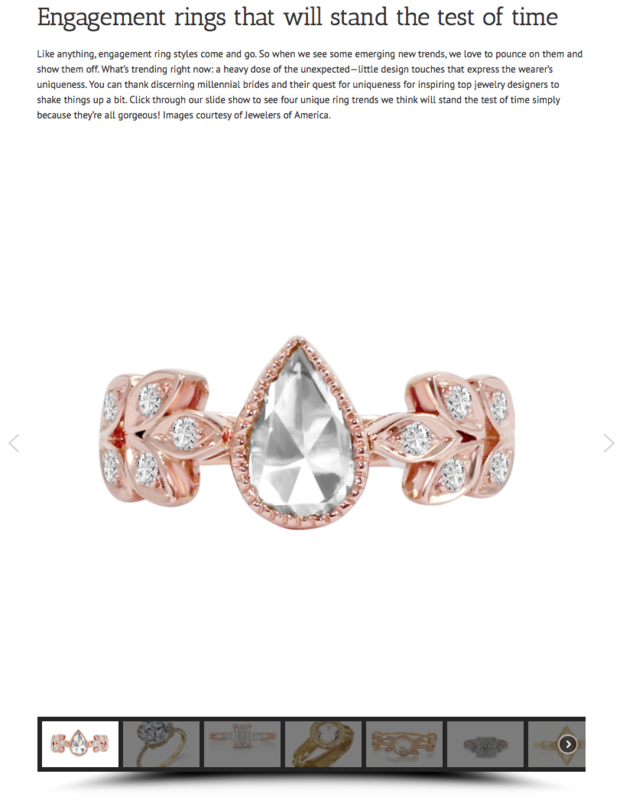 With over 12 carats of pear-shaped and round-cut diamonds, you’re also rocking some serious jewelry. 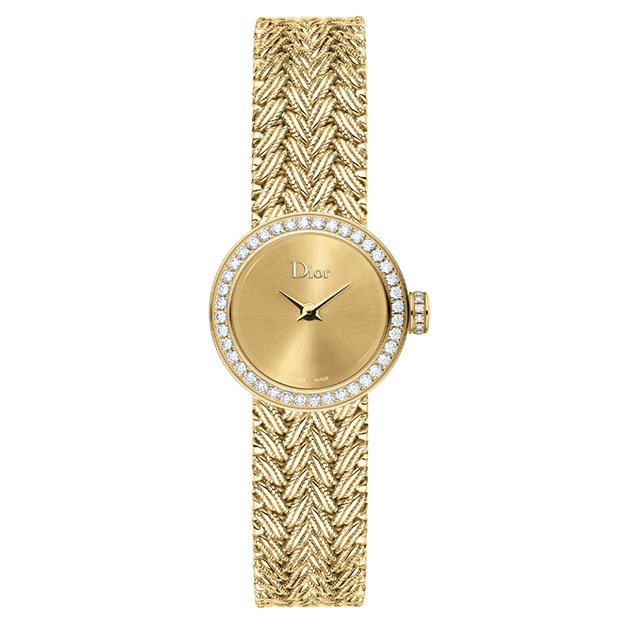 Classic and chic, this is like wrapping your wrist in a ribbon of spun gold. We love the contrast of the matte gold face surrounded by sparkly diamonds. And the strap is made from woven gold threads. Gorgeous! This watch really knows how to keep a secret. 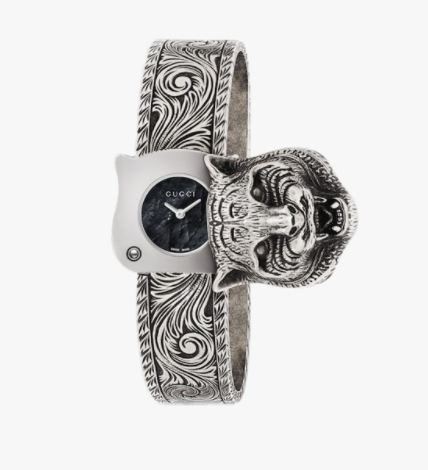 The rotating feline head covers the black mother-of-pearl dial and the carved steel bracelet—even though there’s not a gemstone in sight—is to die for. It’s powered by a quartz movement.